Observation of the natural world reveals an underlying order, which scientists try to understand through model building and experimentation. Physical scientists seek to reveal the fundamental nature and composition of matter and its interactions; such understanding forms the essential background for our modern technological society. This rigorous program integrates first-year college chemistry and physics with math to explore how scientists make sense of the natural world. You will work to develop a firm background in college-level science, becoming prepared for further intermediate and advanced work in the mathematical and physical sciences. This program is designed to have two parallel tracks. Both tracks share general chemistry with lab. Choose between one of two math tracks: precalculus is intended for students with solid high-school algebra II or intermediate algebra, while calculus is intended for students who also have a good grasp of precalculus. The math track chosen will determine one of two physics tracks: algebra-based physics or calculus-based physics (both with lab). The work will be intensive and challenging but also exciting; expect to spend at least 50 hours per week engaged with material during and outside of class. Important for success will be a commitment to working hard and effectively in groups. The program will include readings, lectures, labs, workshops, seminars, and projects, along with homework sets, writing assignments, quizzes, and exams. Expect to spend at least a full day in lab each week, maintain lab notebooks, and write formal lab reports. All areas of the program will emphasize the use of quantitative methods and critical thinking and the development of proficient writing and speaking skills. Successful students will improve their conceptual understanding and problem-solving abilities, their ability to collaborate effectively, and gain hands-on experience in physical science. You will apply these skills and knowledge to complex problems showing the rich inter-connectedness of mathematical and physical systems. Fall and winter quarters of precalculus will include the theory of functions along with applications of linear, polynomial, rational, exponential, logarithmic, and trigonometric functions; there is no precalculus in spring. Fall and winter calculus will cover limits, derivatives, integrals, and their applications; and spring will include sequences and series, partial differentiation, and multiple integrals. Fall quarter general chemistry will include fundamental concepts of atomic structure, stoichiometry, and the periodic table. Winter quarter will build on this foundation, emphasizing kinetics, thermochemistry, and acid-base chemistry. Spring quarter will emphasize acid-base equilibrium and the relationship between free energy and equilibrium. Fall, winter, and spring physics will cover classical mechanics (kinematics, dynamics, conservation laws, oscillations, and waves), thermodynamics, electricity and magnetism, light and optics, special relativity, and quantum mechanics. By the end of the program, successful students will be prepared for upper-division work that has a general chemistry prerequisite, and depending on the track chosen, will be prepared for upper-division work in mathematics and physics. 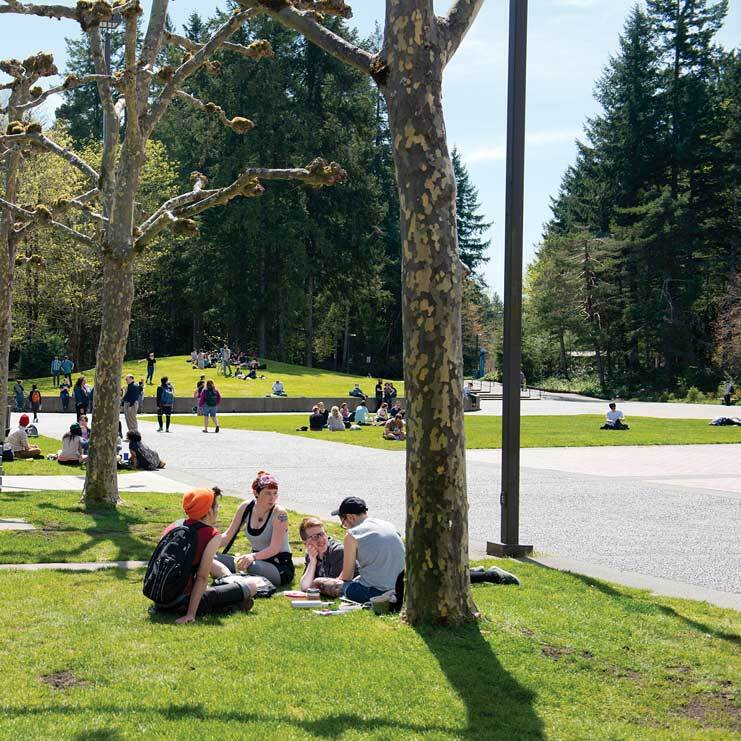 Particular upper-division Evergreen science programs that students may be prepared for include: Physical Systems and Applied Mathematics (2020-21); Environmental Analysis (2020-21); Atoms, Molecules, and Reactions (2021-22); and Mathematical Systems (2021-22). Note: In fall quarter, all students must take one of the required math tracks (either precalculus or calculus) for 4 credits. Students must choose between taking both chemistry (6 credits) and physics (6 credits), for a total of 16 credits, OR taking either just chemistry or physics (either for 6 credits), for a total of 10 credits. chemistry, mathematics, physics, other natural sciences, medicine/health care, engineering, and math and science education. Proficiency in high school algebra II/intermediate algebra is required for all students. Students entering the calculus track must also have completed the equivalent of Precalculus I and II with satisfactory or higher achievement. Students will need to demonstrate prerequisite knowledge equivalent to chemistry, mathematics, and physics content covered in fall quarter through previous coursework and/or through taking fall quarter exams. Contact Krishna Chowdary (chowdary@evergreen.edu) for more information. Students will need to demonstrate prerequisite knowledge equivalent to chemistry, mathematics, and physics content covered in fall and winter quarters through previous coursework and/or through taking fall and winter quarter exams. Contact Krishna Chowdary (chowdark@evergreen.edu) for more information.